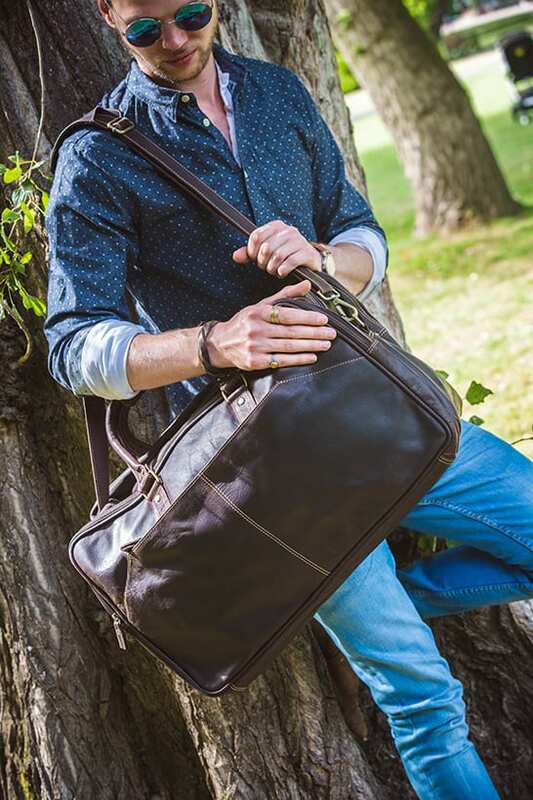 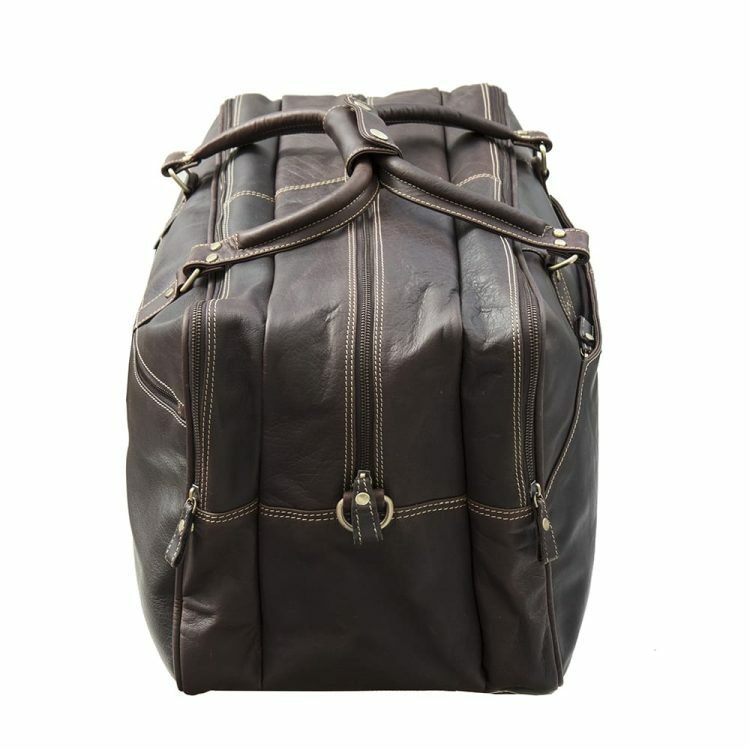 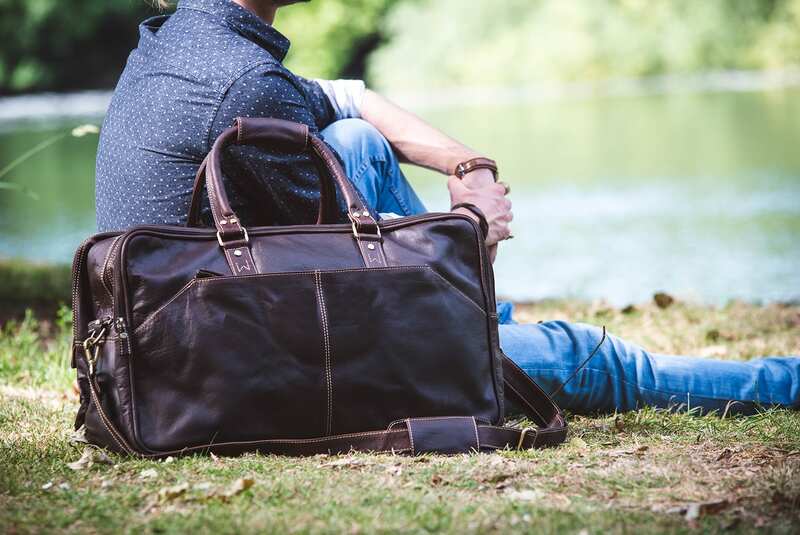 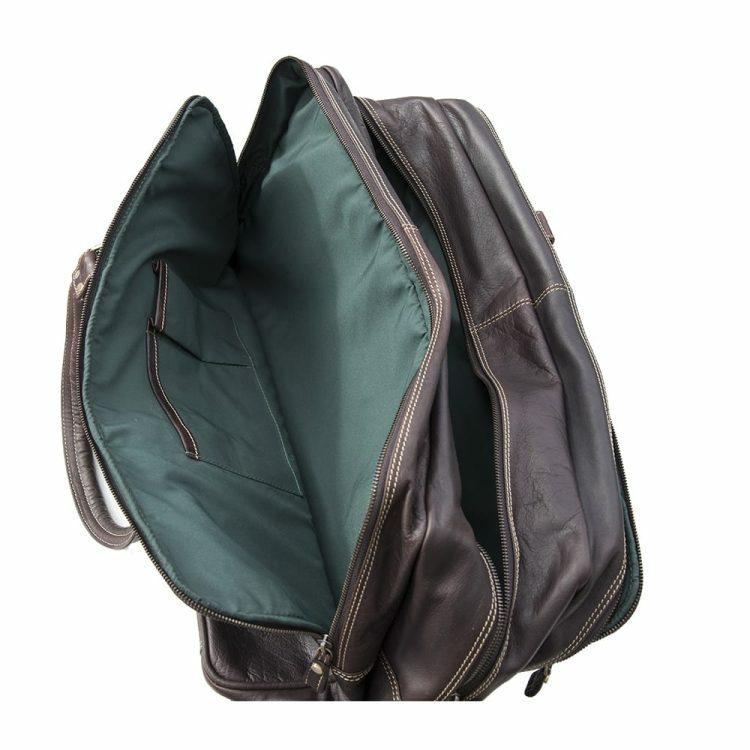 A holdall with some style perfect for weekend, overnight and longer trips – It’s stylish yet rugged, masculine and definitely manly – it boasts three separate zipped sections to sort your “stuff” if you wanted to plus the additional large side zipped pouch pockets for all those smaller extras. 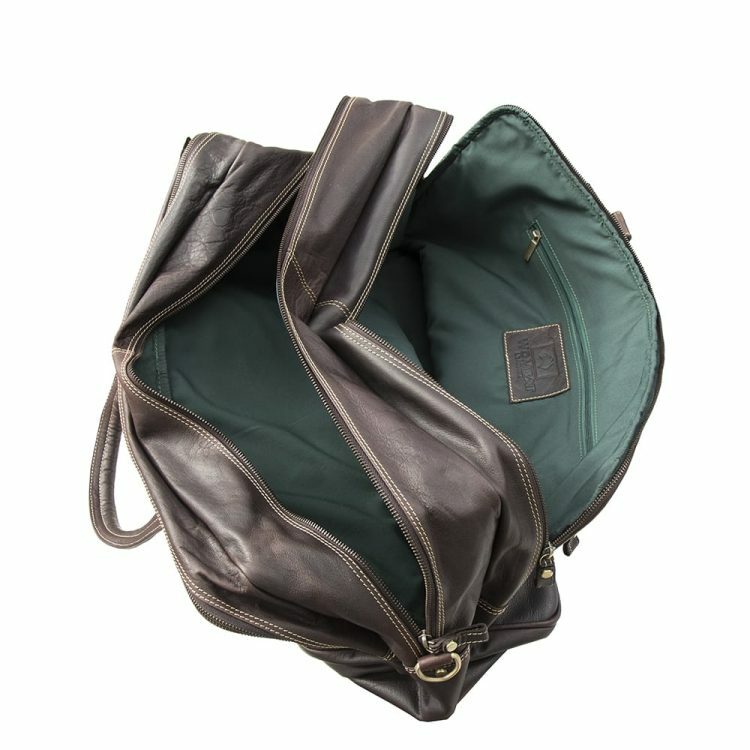 Contrasting green coton lining and Wombat logo. 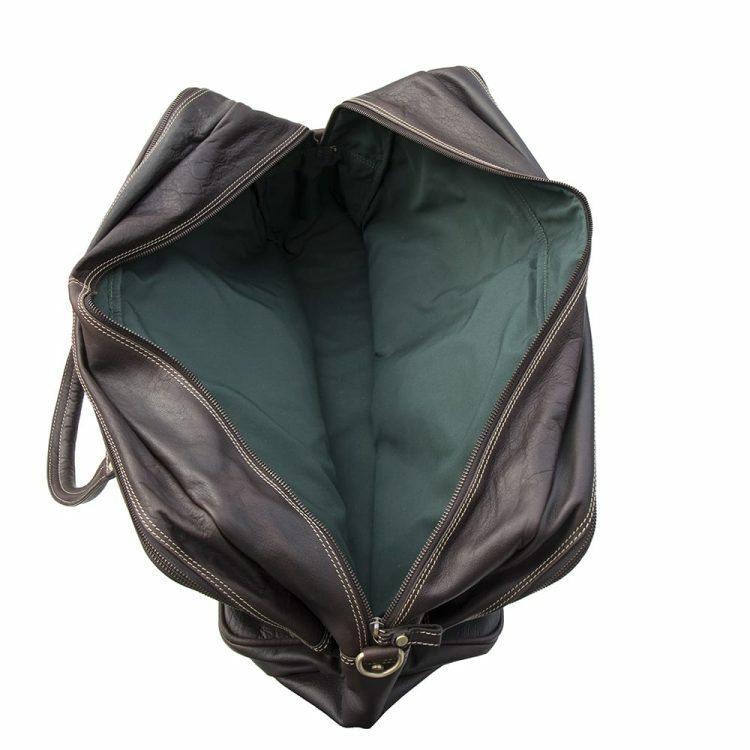 The leather is heavy weight and quality. 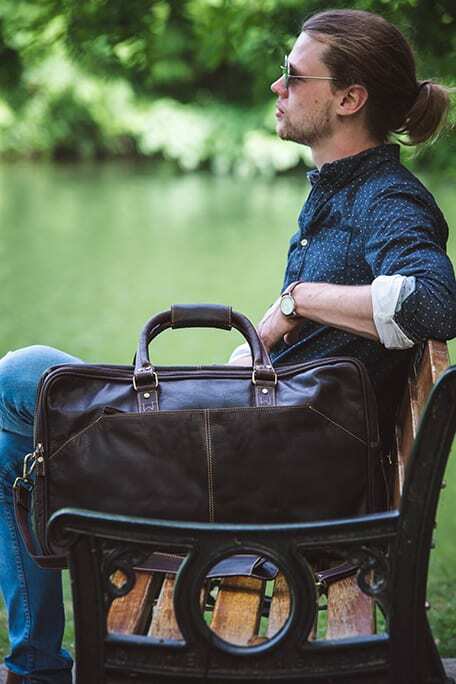 As it is oiled leather any marks can easily be “rubbed out” This bag will age perfectly over time. 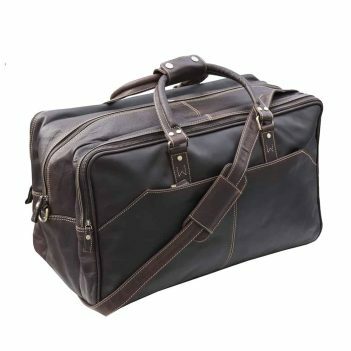 NOTE a heavy due to the weight of the thick leather but is does come with a leather padded shoulder strap if it gets too heavy to carry.